Language awareness is a conscious perception and sensitivity to language learning and is an explicit knowledge about language (Svalberg, 2007). It is a broad topic that involves five domains: affective, social, power, cognitive, and performance. “It is in the holistic nature of Language Awareness that language learning is not easily isolated from other objectives.” (Svalberg, 2007, p.287). For us as educators, developing a better understanding of the language and of teaching/learning processes will generally enhance language learning and teaching. Current Language Awareness methodology uses a constructivist pedagogy. It involves exploration, languaging, engagement and reflection. Both Svalberg (2007) and Swain & Lapkin (2013) highlight the benefits of involving learners on both a cognitive and an affective level. Students benefit from being consciously aware of how linguistic systems work. Talking analytically about language with peers, exploring, discovering and constructing language for deeper understanding, and promoting learning skills are all examples of Language Awareness pedagogy (Svalberg, 2007). The best way to learn about language is through languaging (Swain & Lapkin, 2000). Languaging is not only a tool for communication, but also for mediating thinking. 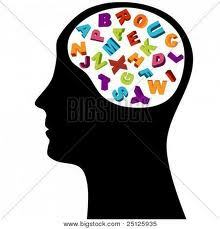 “Languaging is the use of language to mediate cognition and affect. When one languages, one uses language, among other purposes, to focus attention, solve problems and create affect.“ (Swain & Lapkin, 2013, p.105). Deeper understanding results from self-discovery versus direct instruction. “Interactions with learners in classrooms should allow learners to be perceiving, thinking, acting, and interacting persons, rather than passive receivers of knowledge” (Van Lier, 1998, cited in Svalberg, 2011, p. 291). Swain and Lapkin (2013) found students who used languaging to “self-explain” had a deeper understanding of the concepts. Students created their own meaning by reading small sections (i.e. a sentence at a time) out loud and then used self-talk to explain what it meant. These students also used inferencing, paraphrasing, self-assessing, summarizing and made connections between their prior knowledge and new knowledge. This example is illustrative of one form of languaging. For other examples, click on the resource button below.